Magic Flight Launch Box is a unique and inspiring personal vaporizer like no other you’ll find! The Magic Flight Launch Box Portable Vaporizer is a combination of versatility and design, and creates a visually attractive personal vaporizer which will have everyone asking where you got it from! With the personal vaporizer market expanding at an astronomical rate around the world, it’s always great to see a company such as Magic Flight stepping outside of the box to create a personal vaporizer unlike no other. The complete range of Magic Flight personal vaporizers is 100% made in the United States. They are proud of the product they deliver and want every Magic Flight Launch Box they create to be just as good as the last one. They set out to create a personal vaporizer which focused on high-quality materials, sourced from natural products and renewable materials. They have an 87-step production process. They assemble all devices by hand, and strict quality control procedures ensure that every customer is getting a high-quality Magic Flight Launch Box. With a high-quality personal such as the Magic Flight Launch Box, you’ll be happy to know that you receive a lifetime warranty on every device. Here at MyNextVape we currently stock four Magic Flight Personal Vaporizers. 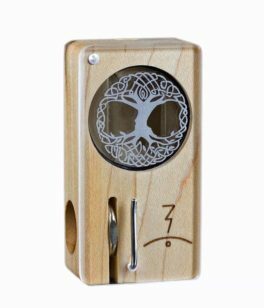 We have the Magic Flight Launch Box Maple Personal Vaporizer, Magic Flight Launch Box Cherry Personal Vaporizer, Magic Flight Launch Box Laser Etched Personal Vaporizer, and the Magic Flight Muad-Dib Portable Vaporizer. All Magic Flight Portable Vaporizers include a lifetime warranty and are hand assembled using environmentally friendly renewable products. 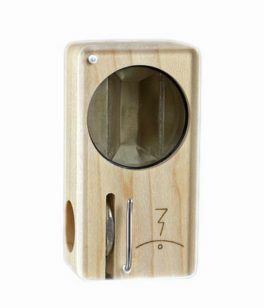 If you’re looking for a personal vaporizer that isn’t like every other personal vaporizer or dry herb vaporizer available on the market, the Magic Flight Launch Box is definitely worth a second look! The Magic Flight Launch Box isn’t like traditional dry herb vaporizers, and many vapers have commented on their superb vaping abilities. The Magic Flight Launch Box contains no metal parts and complicated display screens. This is a high-quality dry herb vaporizer which through its simplicity offers flavorful vapor and packs a punch. 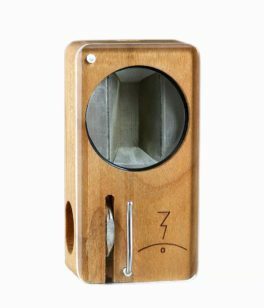 You can choose from several different finishes on your Magic Flight Launch Box Portable Vaporizer, Walnut, Cherry, and Maple. 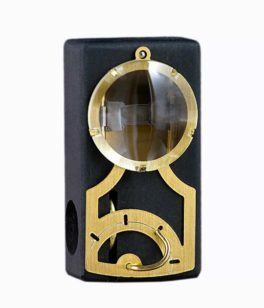 Available in a classic Walnut or uber-cool Noir finish, the Magic Flight Muad-Dib Portable Wax Vaporizer features a brushed brass lid, a brass bowl inserts, and an optical-grade monocle-esque lens. Due to the nature of concentrate vaporizers, which operate at much higher temperatures than dry herb units, the vapor produced by the Muad-dib is drawn through a 1.5 ft. FDA grade peroxide-cured silicon whip with brass ends, which replaces the familiar draw-stem delivery method. The Magic Flight Muad-Dib Portable Vaporizer is perfect for the concentrate enthusiast and will be the envy of all your friends once you whip it out! At MyNextVape we work hard to ensure that all the personal vaporizers which we stock are high-quality, affordable, and function flawlessly. If you have any questions about the Magic Flight Launch Box Personal Vaporizers, don’t hesitate to contact us directly! We’ll be more than happy to answer any of your inquiries.